Chocolate Whoopie Pies…2 moist, rich, chocolate soft cookies on the outside, fluffy creamy filling sandwiched in the middle. This sweet treat was first introduced to me when I moved to Hubby’s land, Pennsylvania. They were sure to be found at any Amish roadside stand or bakery. 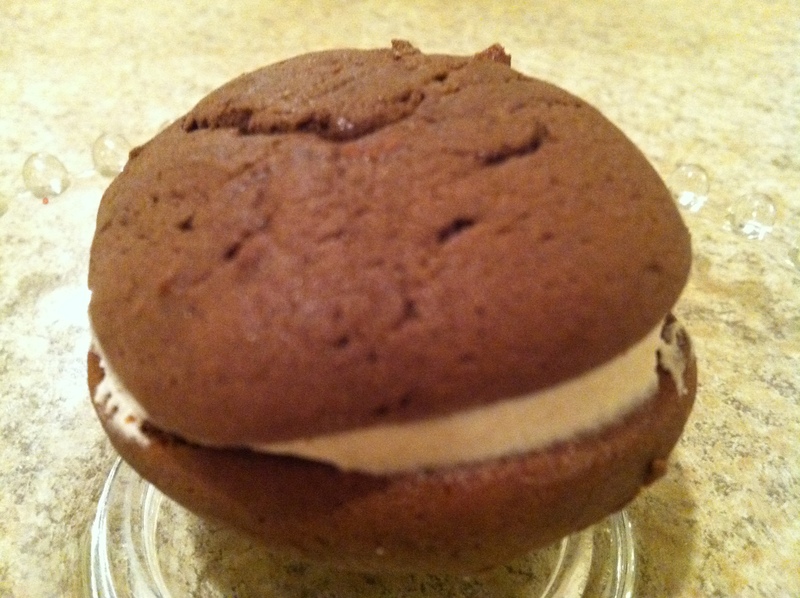 I learned that it is best to freeze most of the whoopie pies otherwise we’d eat them within a couple days. Yes, they are quite addicting. When we left Pennsylvania, this was one recipe I kept handy. When we’d be missing family and friends, this special treat helped them feel near. 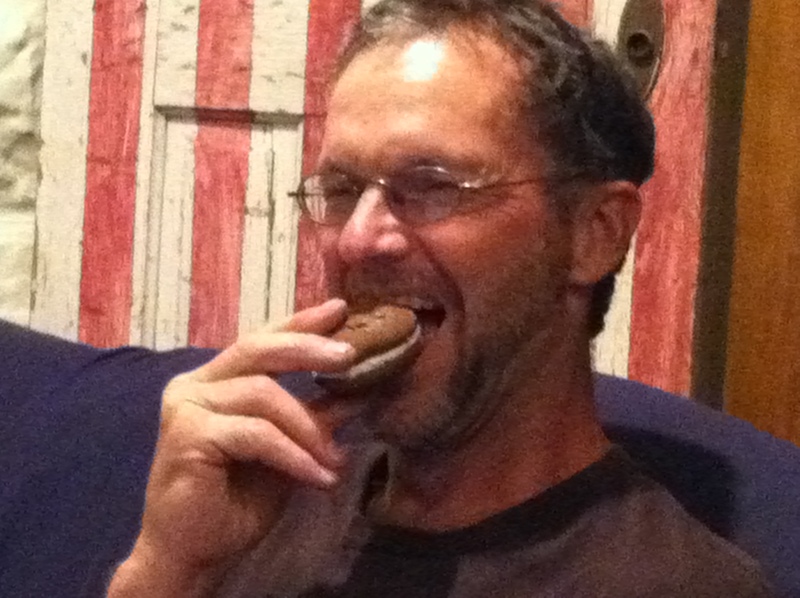 As the children grew and began having friends over they soon realized, these Kansans had no idea what a whoopie pie was. In fact, I recall one friend thinking the kids were saying something bad! J Soon my four youngsters were requesting whoopie pies whenever they had opportunity to share treats at school or parties. This continued as they got older as well. When my first-born was selecting his party food for high school graduation celebration, whoopie pies were first on the list. I’m not sure why I was surprised when some friends and cousins arrived at the party and asked, “Do you have whoopie pies?” I don’t recall how many batches I made, but they disappeared in a hurry! Next came college, and this Mom can’t go visit without taking goodies. Of course, I usually include a batch of whoopie pies! As I was mixing, baking, sandwiching and freezing today, it dawned on me that there will not be many more college visits. My youngest is a university senior! In recent years, the secret sensation of the whoopie pie has gotten out, and bakers all over the country are making changes to suit most any sweet tooth and flavor favorite. There is even a published cookbook titled Whoopie Pie. However, in my kitchen tradition rules – we’ll stick to chocolate with cream filling! 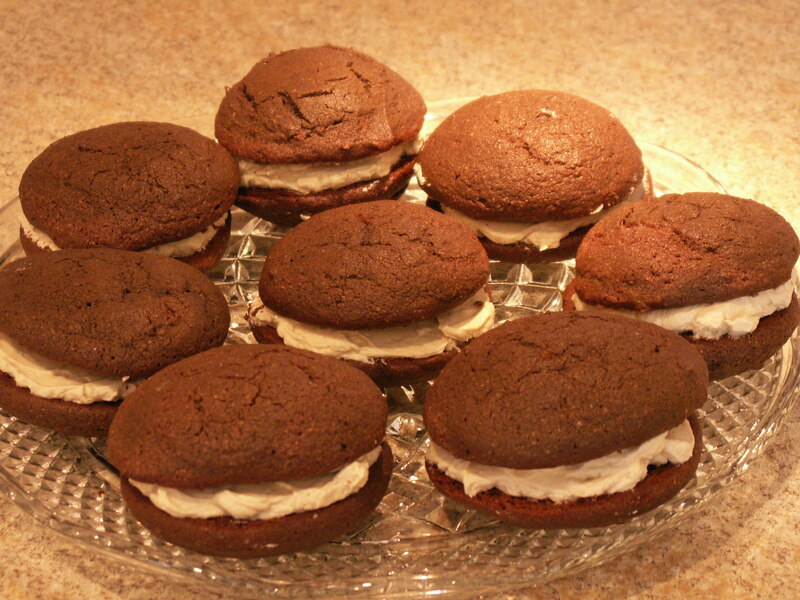 Whoopie pies are not only sweet to the taste, but conjure up sweet memories and thoughts as well. I can just imagine the sweet smile and gleaming eyes of my youngest one when I arrive with these goodies in hand. This in turn presses my thoughts to the sweetness of my God and his Word. So many beauties blooming across the prairie, are they weed or flower? I have loved Kansas Wildflowers since at least fourth grade. Mrs. Swisher led the class through picking, identifying and drying wildflowers of Kansas. 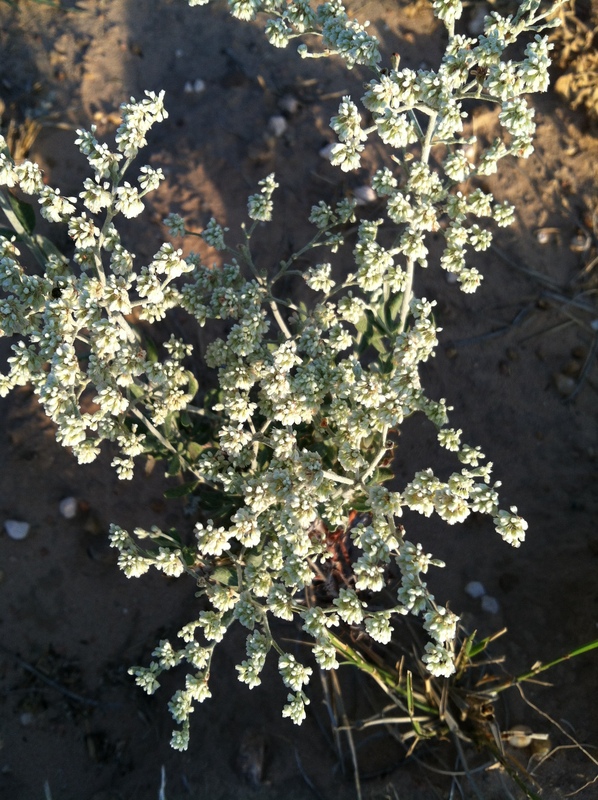 By the conclusion of the unit study, each student had a book of dried wildflowers to take home. Many, many years later, I can still identify some of those flowers. 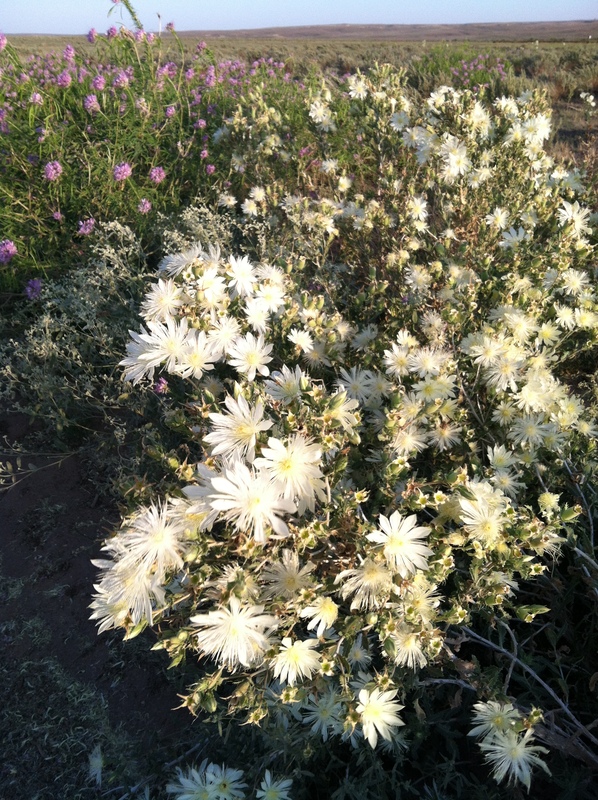 My favorite bouquet is one that is handpicked either from my garden, the pasture or road ditch. 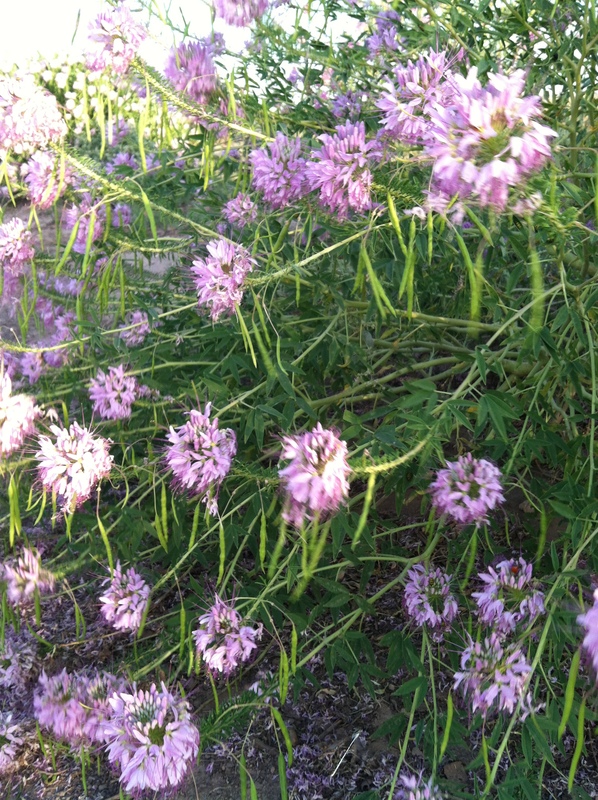 Although Mrs. Swisher never referred to them as weeds, my farmer hubby would have a conniption if I were to purposely plant them in my flower beds. Though adding beautiful color to the landscape many are obnoxious and even noxious. They can crowd out the grass or growing crop, make animals sick and are difficult to control. 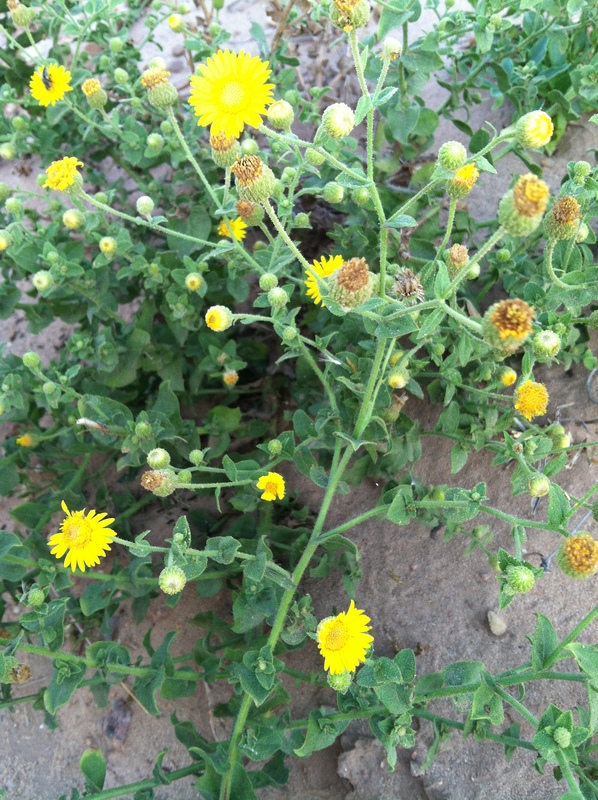 These weeds have a similar effect as temptation and sin. When we are tempted, the temptation is often pleasing to the eye. However, once we give into the temptation, sin begins to reveal its ugliness. If we let that sin take root it will spread into other areas of our life, crowding out our desire to follow the example Jesus set for us. Don’t be deceived; keep the weeds out of the flowers. To embrace the season, I attended the home cross country meet last week, Buffalo Stampede! Then I went to cheer on some of my favorite runners at a 5K in Oklahoma, and I filled out my September calendar. Why did I fill out my September calendar? So I can run here and there! You better read fast because I’m leaving you behind. In fact, from the looks of my calendar I must be training for a 10K, and if I’m not careful it will become a marathon. All this busyness starts out innocently enough, but the schedule can soon get out of control. Run to live. Live to run. This leads to disappointments, frustrations and fatigue. It affects our relationships with friends (Running is my girlfriend), family and our spouse. When we get to the point of meeting each other coming and going, things at home can easily be falling apart or at least be put on hold to catch up on later. If found on ground…please drag to finish line. This includes our relationship with God. I don’t know about you, but when life is hectic I NEED God. If I do not spend time with God, reading His word, praying, seeking His guidance, my schedule becomes a god. My day is consumed with the schedule and I fail to recognize God’s grace and handiwork surrounding me. I fail to listen for His voice of wisdom prompting me. Two things I’ve learned over the years is: my day goes better when I start by spending time with God, and I do not have to do everything. I have a choice to control my schedule or let my schedule control me. By His Power For His Glory. One benefit of doing the Joy Dare 2012 is that no matter how hectic my day is it reminds me to intentionally look for God’s gifts of grace. I choose not to just Run. Eat. Sleep. Repeat. I’m looking for these (Sept. Joy Dare) special gifts in the month of September. Care to join me? In a world of give and take, give what it takes.